For many consumers, Windows 10 is total overkill. If most (or all) of your tasks are web-based, a Chromebook is probably a much better option. After all, the Linux-based Chrome OS is fast and stable, while also being extremely secure. Why bother with all the malware and lag of Windows if you don’t have to? 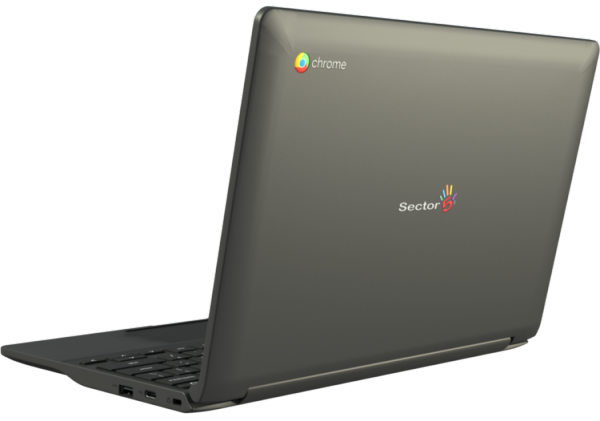 Today, a company called Sector 5 launches a new Chromebook model. Called "E3," it has an attractive design, decent specs, plenty of ports, and an affordable asking price. Best of all, it supports both Android apps and traditional Linux desktop programs too. "The Sector 5 E3 Chromebooks are easy to use right out of the box -- just log in, connect to the Internet, and start learning. They're easy for everyone to use: Whether it's helping with homework or resolving dinner-table disputes, Chromebooks can help answer everyone’s questions. And with automatic security updates, Chromebooks help keep your family safe from computer viruses and malware," says Sector 5, Inc. The company further says, "The Sector 5 E3 Chromebook, running the the world’s most popular browser Chrome and ChromeOS cloud-connected operating system, enables a new generation of business devices for organizations of all sizes. With security built-in, students, teachers, & business professionals can share their Sector 5 E3 Chromebooks with others without fear of common computer problems like accidental software installations, malware or altered settings." Sector 5 shares the following specifications. Dimensions (WxDxH): 11.41" x 8.03" x 0.79"
Erick Kuvshinikov, Sector 5 CEO shares the following statement. Today's consumers demand excellence in their electronics, with high-speed access to the web, ability to accomplish tasks with ease, and security in knowing their data is safe from viruses and hackers. Chrome OS provides that speed, simplicity, and security demanded by modern users, and our new Sector 5 E3 Chromebook combines that with great technology at an affordable price, giving widespread access to the tools needed for how we learn, work, and live today. We believe that everyone should have access to the tools and technologies needed to thrive. Sector 5 provides simple, affordable, and common-sense solutions to modern problems. 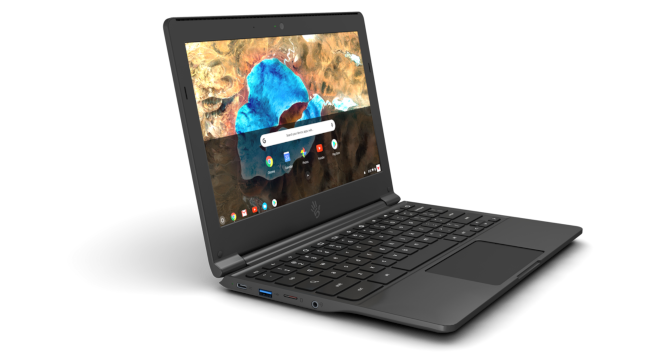 The Sector 5 E3 Chromebook will sell for $349.99, but if you pre-order it here, you can get it for just $315 -- a significant discount. While I am not familiar with the manufacturer, it looks like a rather nice machine for the money.